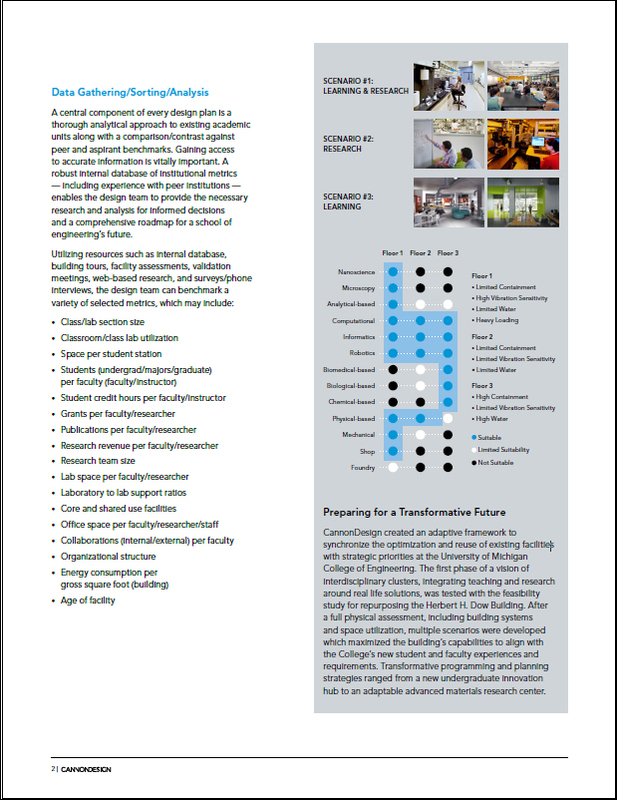 This article will explain holistic planning scenarios and case studies which address the dynamic and diverse needs of engineering schools. With an ever-expanding emphasis on the importance of advancing scientific explorations in education, there is a growing need for institutions to invest in their engineering programs and facilities. Schools of engineering are poised to be the socioeconomic generator that fosters both institutional and economic growth while improving education and fostering campus identity. In order for these unique schools to be successful, there are fundamental drivers that should be considered during the planning process.